Installing artificial grass in the Greater Bay area is a big deal. There are several companies companies who provide the service. However, Artificial Grass Pros stands head and shoulders above the rest in comparison. The reason? We provide quality products, excellent customer service and experienced professionals who know how to do the job right. Installation is more than just a job to Artificial Grass Pros. It is an art form which means we will work hard to transform your lawn into something you will love to show off. There is a lot more involved than just unrolling turf and smoothing it out. It takes an experienced team of professionals working every step of the way to create a work of art. Let us explain. Our installers pride themselves on being able to cover any spot, with the best type of grass, for any configuration. Try to stump them if you can (what a great pun! ), it is extremely tough to do. Our team is confident. Initially, they will survey your lawn to get an idea of the size and terrain. Anything that may be in question will be addressed with you before work begins. Most likely these issues will be some sort of drainage spot or obstacle in your yard. The drainage issues will be addressed, and our installers will work around obstacles like trees, flowerbeds and playground equipment to ensure your install looks and acts like real grass. You can expect our team to be professional from start to finish. Our installation team will show up dressed like they mean business and speak in a professional tone when communicating with you. Our trucks are polished and neat. We understand that while we are at your house or place of business installing artificial grass, we will reflect on you for that short period of time. Professionalism is important to us. It's part of the art of installation. With Artificial Grass Pros, we are there from beginning to end. You are not left in the dark to wonder what is going on while we are installing artificial grass. We proactively reach out to you to make sure you understand which part of the process is occurring, and what you can expect. Your questions during the install are welcome. We are not one of those companies who simply gets you to sign a contract so we can rush the job, pocket your money and move on to the next. Substrate Options: Artificial Grass Pros will make sure you get the right substrate option. There are different types according to how unique your lawn is, and depth is crucial for drainage and the like. Deodorizing Membranes and Filler: If you have pets, it is important to consider the impact they may have on your artificial lawn. We will work with you to determine whether a deodorizing membrane, mixing deodorizer in with filler or adding it to the substrate is necessary. Grass Product Offerings: We own our turf company, New Grass. To that end, we have access to a wide variety of products that work with your budget. We will go over the different maintenance options depending on the type you choose. Product Quality: We never choose our artificial grass products based on how cheap we can acquire them because own our own turf company. Our company spends time and effort researching the quality of our product supply to make sure it meets or exceeds, our standards. We work close with manufacturers to make sure you get the best. Artificial Grass Pros has quality control standards in place to ensure your install contains an artificial grass product that is strong, durable and works best to minimize or eliminate seams. We are the only company who uses the “Edge Securement System” which allows us to affix artificial grass to any surface so you can rest assured we will be able to accommodate your lawn. Throw us your best curve ball and watch us provide a solution. 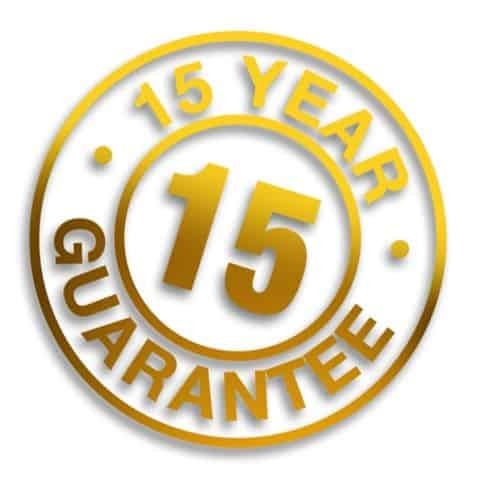 Our artificial grass installations carry a 15-year warranty. So do many other companies. However, when you look at how long they have been in business, the numbers do not work. What good is a 15-year warranty when you have only had your doors open for three years? It just doesn't make sense. Artificial Grass Pros is one of the few installation companies that have been around from the beginning. We have weathered the ups and downs of the industry, as well as the recent (still ongoing depending on which county you live in) California drought. It affected all of us in San Ramon, but we worked through the drought and continued installing artificial grass lawns for our customers that stay green year round. We are not a fly by night company. 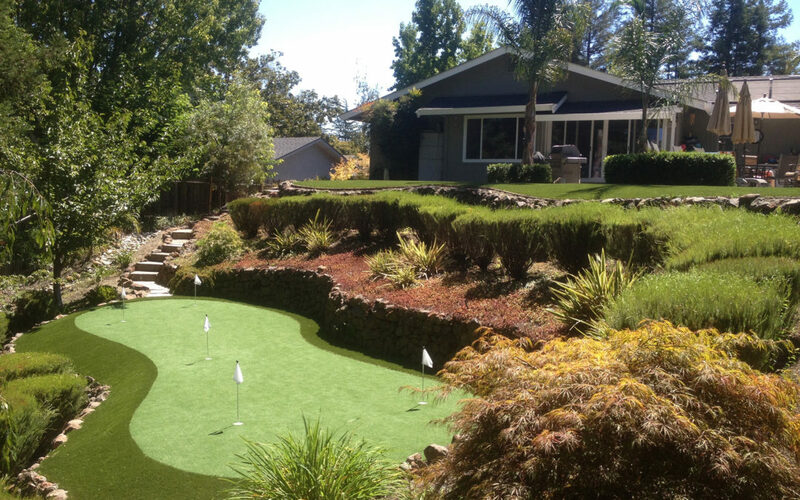 Artificial Grass Pros will be serving the Greater Bay area for years to come. Our history speaks for itself and our installation team has the expertise and experience to do the job right. Our warranty means something. If you are considering a switch to artificial grass, contact us today. We would love to go over options with you and get started creating your dream lawn. We would love for you to see the art of installation for yourself.